Robin is CEO of CrowdFlower – the essential human-in-the-loop AI platform for data science and machine learning teams. Robin has spent the past two decades helping high growth companies launch and scale platforms and products into rapidly transforming markets. 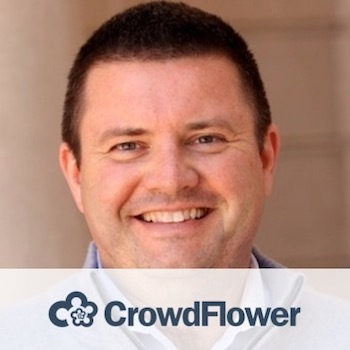 Prior to CrowdFlower, Robin was the VP & GM, Strategic Consumer Industries at Marketo where he launched and led the business unit selling to consumer digital marketing teams. Robin holds a Master’s degree in Engineering from Cambridge University and an MBA from Stanford University.